In my last blog, I shared the most anticipated books of 2015, and today I wanted to extend the discussion to film adaptations. There may be few original ideas in Hollywood, but as long as there are good books out there, we’ll always have good movies! 1. “Victor Frankenstein,” release date October 2. Two of the UK’s biggest heartthrobs are set to star in this adaptation of Mary Shelley’s novel. 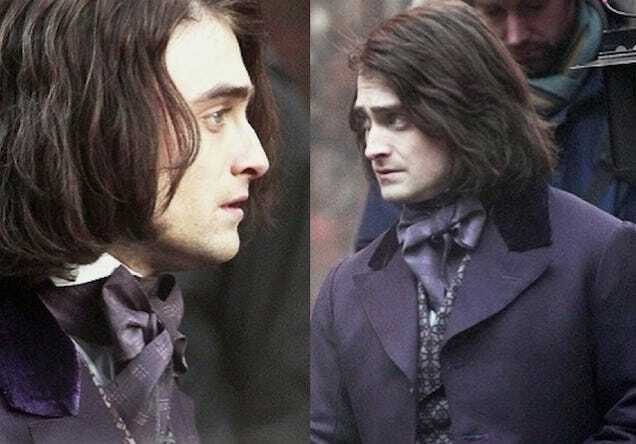 Directed by Paul McGuigan, James McAvoy plays Victor Von Frankenstein and Daniel Radcliffe plays his assistant Igor. This movie will act as a prequel from Igor’s perspective about how he met Frankenstein when he was just a medical student. I have to admit that I have not read this classic monster tale, but I’m intrigued by how these actors will bring this story to life! 2. 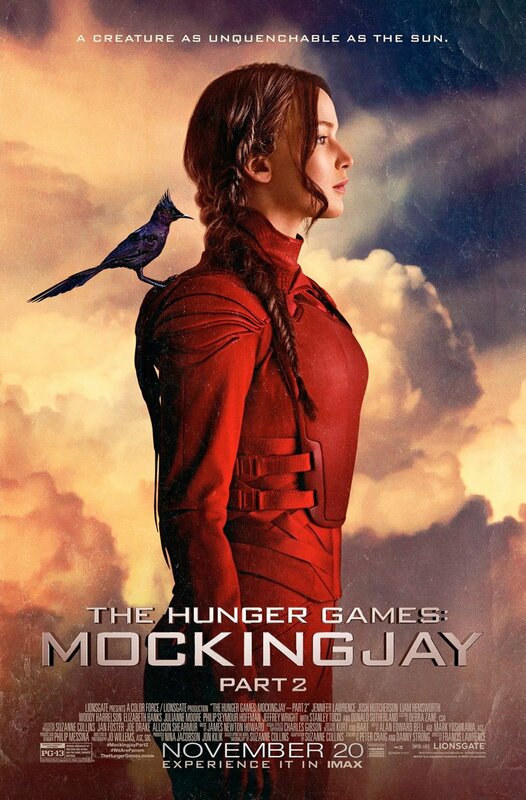 “The Hunger Games: Mockingjay, Pt. 2,” release date November 20. Finally, The Hunger Games saga comes to an end; it’s just too bad that I hated the ending. Despite that, I’ve been impressed so far by the films, and I look forward to seeing Panem’s rebellion on the Capitol. Jennifer Lawrence, Josh Hutcherson, and Liam Hemsworth have done an excellent job playing Katniss, Peeta, and Gale respectively, and I’m sure fans around the world will be breaking box office records when this finale hits theaters. Well, that’s a diverse selection of movie adaptations! Which ones will you see or skip? Especially after a very long weekend! Just wanted to check-in and reassure you that I’m still here! It’s been a busy Thanksgiving break, but I’m looking forward to the dust settling and getting back into the swing of things! I’ve missed blogging! Now that November is over, I can finally put NaNoWriMo behind me. My final word count barely topped 19,000 words, so it’s pretty obvious that 2014 just wasn’t my year. However, I learned a ton, and I still made progress on my novel! Hoping that I can gain some momentum, keeping the creative juices flowing this month and into the new year! 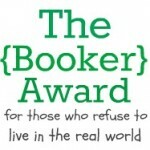 As for my book quota, I’ve been much more successful at reading than writing. I’ve completed the audiobook version of Yes Please by Amy Poehler and will post my review later this week. In the meantime, I’m working my way through my 20th book of 2014: Afterworlds by Scott Westerfeld. Looks like I’m ahead of the game of finishing my reading goal for this year! I also watched “Mockingjay: Part 1″ and “Gone Girl” over the holiday, so be on the lookout for my movie reviews this month! 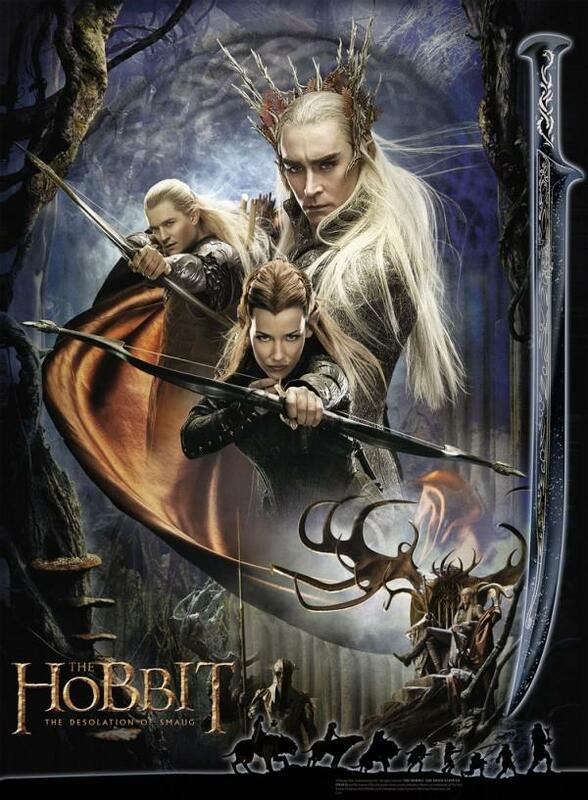 This fall has been an excellent season for film adaptations of books, and 2014 will end with a bang with the final installment of “The Hobbit” trilogy! Can’t wait! So while I try to find the time for all these blog posts, let me know how you’re doing! Read any good books or see any fun movies? And what are your plans for December? It’s been forever, so catch me up! Apologies for the delay, but I’m finally recovering after suffering a cold for the past couple days. But I’m back and ready to share my thoughts on November’s biggest film! 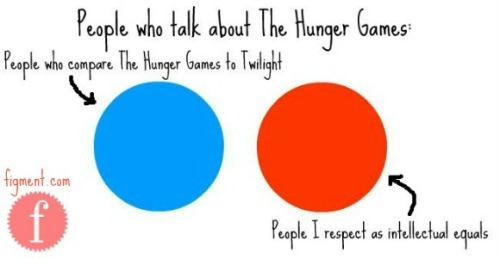 I may anger a lot of fans by beginning my post this way, but here it goes: I know that The Hunger Games gets compared to Twilight simply for being blockbuster series with teenage love triangles, but a part of me now understands the comparison. Point taken, but I still went there! The similarity has mostly to do with my opinion of each story’s ending rather than anything serious, like female autonomy and benevolent sexism. It’s just that at this stage in my life, I’m watching these movies just to go through the motions because I’m dreading how it all will conclude. But just like “Breaking Dawn” was so horrendous that I haven’t even gotten around to finishing the final film, I’m feeling lukewarm about this dystopia. To me, the genre needs a well-deserved break because this bandwagon feels two years old. (Speaking of outdated, here’s another inflammatory opinion: “Divergent” sounds like a cheap knockoff riding the dystopian wave, and watching the trailer before “Catching Fire” only reinforced my belief that I’m so ready for something new). That being said, I’m not here to judge a movie based on its inevitable sequel. I actually have little negative to say about “Catching Fire,” like so many other viewers. 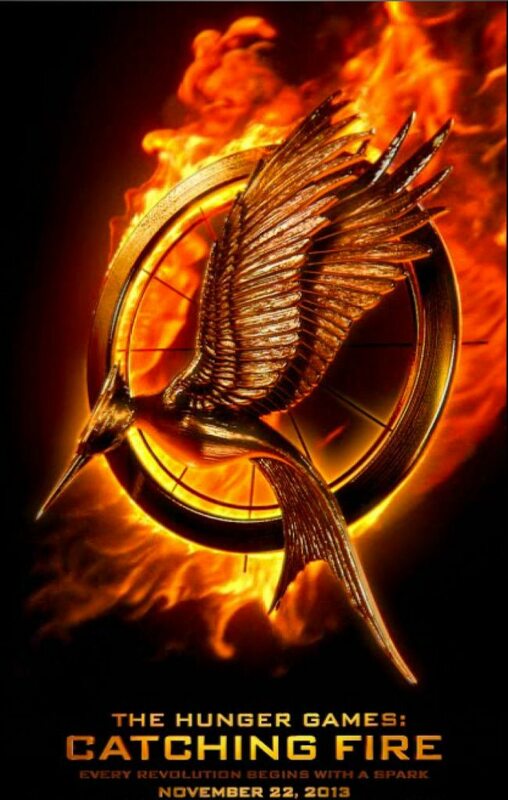 All the actors in the film did a great job, from Jennifer Lawrence suffering nightmares as Katniss to Stanley Tucci as the sickeningly sycophantic Caesar Flickerman. I was simultaneously admiring and scorning the Capitol’s display of weath, with their flamboyant costumes and ostentatious parties. In fact, it was interesting to watch this movie with both my parents this time, since my dad and I are the only ones in my immediate family who have read the book. My mom hadn’t even seen “The Hunger Games,” so all she knew was the quick explanation we gave her on the way to the theater. Ever filled with kindness, my mom found it difficult to stomach the story, and I don’t blame her. The unnecessary violence and disparity in socioeconomic power is disgusting and infuriating. I can only hope that people desire the same change in our own society as they want for Panem. They didn’t call it “panem et circenses” for nothing! All in all, watching “Catching Fire” was timely during Thanksgiving, reminding me to grateful for all that I have. And even though this whole splitting the finale into two films is another trend that won’t die, I’m just thankful that such a disappointing ending will be recreated by an amazing cast and crew. Now move over dystopias, and make way for the hobbits! 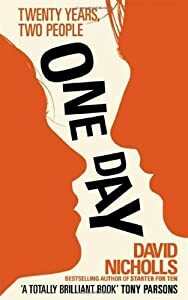 I read One Day by David Nicholls a year ago, after reading a stellar review in People magazine. This book, it claimed, was the next buzzworthy thing. And now that the film version starring Anne Hathaway and Jim Sturgess will be released tomorrow, the buzz has been building once again. The story’s design is its best attribute. The novel follows the relationship of Emma and Dexter, two Brits who graduated from Edinburgh University on July 15, 1988. Each chapter takes place on that very day, for twenty years, so you learn about their lives in only a handful of moments. 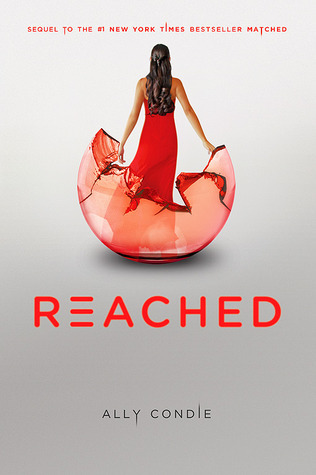 Emma’s career builds slowly, moving from waitressing to teaching to writing novels, whereas Dexter skyrockets as a famous TV host, but then loses popularity and slips down the entertainment social ladder. He also suffers from drug and alcohol abuse, and Emma grows weary of picking up his pieces. Nicholls is a wonderful writer, and although Emma is much more likable, you find yourself yearning for their re-connection. Beware though, this is not a happily-ever-after story. The couple spends most of their years apart, with other people, and the ending is abruptly tragic. I was not as dissatisfied with the end as I was with Mockingjay, probably because you get more attached after three books than one. Also, Nicholls never makes life overly hopeful or optimistic, just true to reality. And reality is full of unhappy relationships, emotional baggage, and bad timing. I was glad to hear that the author was also in charge of writing the film’s screenplay. I hate that they cast Anne Hathaway (even though she is excellent in her own right), because her attempt at a British accent is horrible. I’ll still see the film eventually, but I know that I better bring my tissues because this one ought to be a cry-fest. If you’d like a unique love story and don’t mind a sad, literally-hit-you-out-of-nowhere ending, then pick up this book. And if you see the movie, tell me what you thought!